From structured pencil dresses that read more vamp than traditional, to modern draping with Madam Gres roots, designer Laurel Berman fuses rebel with romance to create a collection at once both edgy and feminine. Black Halo embodies glamour without pretense. Designed and manufactured in Los Angeles. Made in The USA of imported materials. SPF ADDICT was conceived out of a simple desire to blend environmental consciousness with personal health and style. The fabrics used by SPF ADDICT are developed with a cutting-edge technology, utilizing organic “green” fibers that carry an unparalleled level of sun protective factors. These fabrics are among the first of their kind to be manufactured in the U.S.A.
Karen’s design philosophy is simple. She believes in real clothing for women who don’t have time to search for trends to find the essentials. Subtle, yet luxurious. Relaxed, yet energetic. Unpretentious, yet refined. And above all else: comfortable, yet stylish…always. Based out of Los Angeles, Karen Kane manufactures 90% of its collection in the United States. 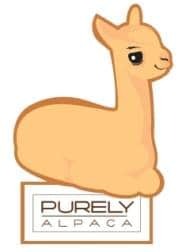 PurelyAlpaca is focused on the alpaca clothing and gifts industry in support of the alpaca animal. We offer alpaca products from all over the world, from small American alpaca farms to huge international mills and indigenous alpaca farmers in South America. We develop alpaca products as well, both domestically and internationally. PurelyAlpaca is always on the lookout for new and interesting alpaca clothing and gifts. NOTE: Not everything on their site is Made in the USA. The link provided will take you directly to their “Made in the USA” selection. 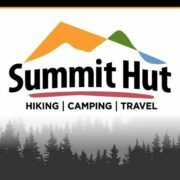 Summit Hut has been a leader in outdoor gear and supplies in Tucson, Arizona for over 50 years. Whether camping, hiking, backpacking, climbing, skiing or snowboarding; App Outdoors outfits to brave the wild. We carry North Face sleeping bags and tents, Mountain Hardwear jackets and equipment, and Patagonia clothing as well as packs from Osprey, Gregory, North Face, Mountainsmith, and Lowe Alpine. NOTE: Not everything on their site is Made in the SA. The link provided will take you directly to their “Made in the USA” selection. The businesses on this page have been MAM Approved (not certified) meaning they undergo a screening process. 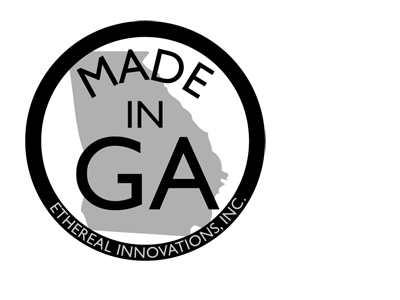 They are makers, retailers, brands, mom & pop shops, technology companies, distributors or suppliers of domestically sourced raw materials, general manufacturers, and service providers. They make or carry products Made in USA. They serve businesses and/or consumers. In some cases, not everything they carry will be Made in USA. We celebrate them anyway for making an effort. If you make/manufacture women’s clothing (jeans, tops, shirts, suits, undergarments, etc…) or sell these items and would like us to feature your business on this page, fill out our application and a MAM rep will respond within 48hrs.